The annual prices are always better value as you pay 10 months for 12 (based on the non-contract prices), minus the £30 joining fee – saving you up to £102! Find out more details on our Kickstarter Memberships. With all of our memberships, it will give you access to our Gym, Swimming Pool, Spa, all of our Exercise classes plus the use of the Prince of Wales running track. To sign up, simply visit our Front Desk and complete a membership form. 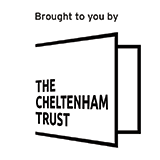 If you are interested in joining and would like any more information regarding our memberships please email membership@cheltenhamtrust.org.uk or phone us on 01242 387 410. Recommend Leisure at Cheltenham to all of your friends and when they sign up for a 12-month membership we will reward you at the same time! Every friend that signs up to Leisure at gets you one month’s FREE membership – and what’s more this is unlimited – So you could end up with a Free years membership. One lucky member has gained 10 months so far – it can happen!